I think Captain America: Civil War is the best film of Captain America. Seriously. When I watched the first film, Captain America: The First Avenger (2011), I can’t even pass 30 minutes of the film. I went straight to sleep. In the second film, Captain America: The Winter Soldier (2014), I nearly slept in the beginning of the film though I managed to watch it until finish because, nearly the end of the film, the story gets better. But in the third film, I didn’t feel sleepy at all. I guess the x factor is because of the presence of Iron Man! Yeah, I am definitely on team Iron Man. Go #teamstark! The story in Captain America: Civil War takes place after The Avengers: Age of Ultron (2015). I recommend you to watch that film first so you will know the continuation. Although not watching it won’t make you lost, you’ll be confused just a bit. So I really do suggest you that. 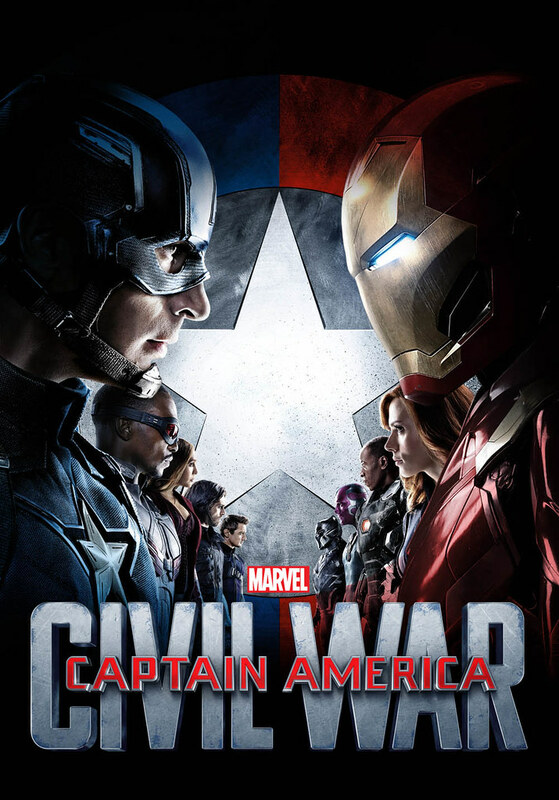 Captain America: Civil War has a good story, even better than Batman v Superman: Dawn of Justice (2016). I don’t think I remember feeling bored when I watched this film. Since the beginning, they gave us many actions and conflicts. I have no time feeling bored. Captain America: Civil War is funny and exciting. After watching the film, choosing sides will be difficult. I mean, you will understand why Captain America do such thing and why Iron Man is so against it. Therefore, it’s hard to choose a side. Unfortunately, Captain, my heart will always belong to Iron Man! I get why Captain America, but I will always choose Iron Man. Besides, I think Iron Man is more of a victim here. But it’s just what I think, so if you think otherwise, you may argue with me. Anyway, it was fun to see the other heroes as well, from Vision, Scarlet Witch, Hawkeye, even Spider-Man and Ant-Man. It feels like watching an Avenger film, except the problem revolves between Captain America. We were introduced with new superhero too. Scarlett Johansson is still as charming as ever with all the fighting and stunts that she did. She’s really cool. I am also interested in the relationship between Vision and Wanda (Scarlet Witch). I am not saying they are in a relationship or anything, but I think it’s interesting to know what will happen to them. Captain America: Civil War feels like Avenger films, except there are no Thor or Hulk here. The funniest moment in this film, perhaps, involving Spider-Man. It’s no longer Andrew Garfield who played the superhero anymore. I am quite disappointed at first, but I think this new actor, Tom Holland, would be a good addition to Marvel Universe. Seriously, he’s very much funny as Spider-Man. Yeah, I think he is the funniest superhero in Captain America: Civil War here. And don’t forget about Ant-Man too. I am sure if you have watched his film, you know how funny he can be. While Tony Stark who usually is the funniest and the most troublesome has become a bit more serious here. The humour is still there, but he became more serious too. However, if you watch the film, you’ll know the reason why he became more serious and it really doesn’t reduce his charm at all. Seriously, Robert Downey Jr. is just so charming! I think it is thanks to him that superheroes have become very popular. And thanks to him again that the usually boring Captain America film has become more exciting and better to watch this time. No wonder why Robert Downey Jr. is one of my favourite actors after all. He is such a charm, such a great actor! All in all, Captain America: Civil War is a good film and the reason is, in my opinion, because of Iron Man’s present. Don’t leave the theatre soon because they have scenes after the middle credit and the end credit. I give Captain America: Civil War 8 out of 10 stars.